Product prices and availability are accurate as of 2019-04-16 07:02:42 EDT and are subject to change. Any price and availability information displayed on http://www.amazon.com/ at the time of purchase will apply to the purchase of this product. 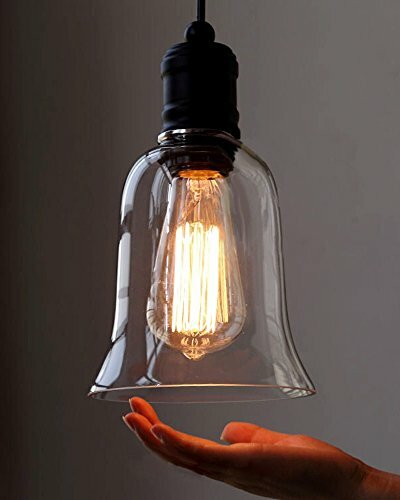 Simplicity vintage pendant light with clear glass shade. Main material: Glass. 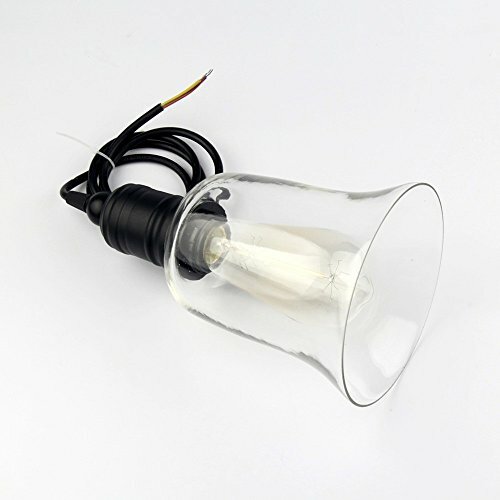 Wattage per Bulb: 60W; Voltage: 110V; Light sockets: E26; Bulbs NOT included. Overall Size: Dia. 5.6 * Height 9.7 Inches; Wire Length: 39 Inches. 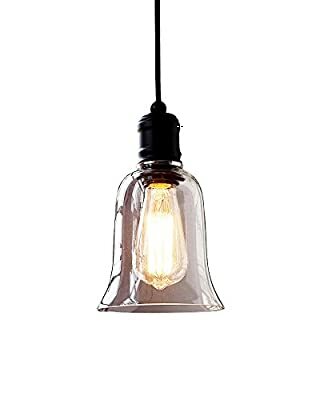 This industrial style ceiling pendant light is an ideal fixture to provide a vintage feeling to your kitchen or living room. Perfect for the bar, island, kitchen, office and more!